Volvo has been seriously upping its game over the past few years, with an entirely redesigned lineup of highly competitive premium models, and even an entirely new “Polestar” all-electric performance-luxury brand that’s designed to go head-to-head against Tesla. Bridging the gap is “Polestar Engineered”, a performance division responsible for tuning Volvo’s regular crop of luxury cars. Late last year we saw the result of its engineering prowess, the S60 T8 Polestar Engineered that sold out so quickly we hardly realized it came and went, but it set the stage for two additional models we think will fare equally well, the upcoming 2020 V60 T8 Polestar Engineered and XC60 T8 Polestar Engineered. Like last year’s S60 variant, the new Polestar Engineered cars once again use Volvo’s turbocharged, supercharged and electrified T8 Twin-Engine Plug-in Hybrid powertrain, which is specially tuned to produce 415 horsepower and 494 lb-ft of torque, 15 horsepower and 22 lb-ft of torque more than the regular T8 AWD power unit. Updates to powertrain software allow torque to arrive earlier for quicker throttle response, while more of that power gets sent to the wheels in back for better all-round performance. To clarify, along with the boosted 2.0-litre four-cylinder engine, the T8 drivetrain utilizes two electric motors (one up front and one in the rear), with a battery that’s both plug-in for pure electric driving over short distances, plus gasoline-electric hybrid powered. What’s more, six-piston Brembo calipers, painted gold in Polestar tradition, improve braking performance, while sets of lightweight 19-inch forged alloy wheels, unique to each of the three Polestar Engineered S60, V60 and XC60 models, add aggressive character while providing more air to cool those beefier brakes. If you were hoping for aggressive aero upgrades, ducts and hood scoops plus other boy racer visual performance statements, the Polestar Engineered models take a subtler approach that should appeal to more mature clientele, with the only additional exterior modifications being high-gloss black for the grille, flared wheel arches, black chrome exhaust finishers, and small Polestar emblems front and rear. Likewise, the new models’ cabins will receive a unique leather-wrapped sport steering wheel and shifter knob, metal mesh aluminum décor trim, gold seatbelts, special charcoal-coloured Nappa leather and “open-grid” textile seat upholstery, plus more. The new 2020 V60 and XC60 T8 Polestar Engineered models will arrive this summer, but if you hope to own one you’ll need to contact your local Volvo dealer now, because if the S60 version is any indication to go by they’ll be snapped up quickly. Since arriving on the subcompact luxury scene six years ago, the Mercedes-Benz CLA has been in a constant sparring session with Audi’s A3, but when the challenger from Ingolstadt said so long to its conventionally-powered five-door hatchback and we all said hello to an entirely new four-door sport sedan, the four-ringed brand has enjoyed a slight sales lead over its sporty four-door coupe competitor. Of course, M-B and Audi aren’t the only two battling it out for entry-level premium car customers, with Mercedes’ very own B-Class MPV luring in plenty each year from its faithful following, not to mention Acura with its ILX sedan, BMW with its 2 Series coupe and convertible, etcetera, but the problems facing this class aren’t as simple as a handful of rivals doing their best to one-up each other anymore, but rather getting noticed in a luxury market that’s a lot more about SUVs than anything that hugs the pavement so closely. For this reason we’ve all got to give Mercedes a round of applause (or maybe a standing ovation) for courageously hitting back with myriad car models in most every luxury segment while others are fleeing. In fact, Mercedes will soon offer more models within the subcompact luxury sector than some competitors have cars, period. Perhaps we can chalk this up to being in the automotive industry longer than any rival, a reality that provided experience through plenty of changes in market sentiment, or possibly it’s just plain stubbornness, but whatever the reason, this German brand not only offers six sedans, two wagons, seven coupes, and six convertibles for a total of 21 different body styles you can purchase right here in Canada, right now, but on top of these the Stuttgart-based marque will be adding the A-Class sedan later this year, bumping its car count up to 22, a mind-blowing pavement-hugging lineup in an auto market that’s supposedly only purchasing high-riding SUVs these days. Of course Mercedes-Benz, Canada’s number one-selling luxury automotive retailer, is capable of filling nearly every niche anyone can conjure up because of its enviable brand equity. Build it and they will come, or so the paraphrased saying goes, and for the most part it’s true. Just look at this subcompact luxury car sector that most brands aren’t even participating in. Mercedes’ B-Class has been attracting entry-level buyers since 2005 when it arrived as a 2006 model, while the same Canadian M-B retailers have been selling the CLA since 2013 (check out pricing and more for the current CLA-Class right here on CarCostCanada now), and the new A-Class hatchback since January. Through the first two months of 2019, Mercedes’ collective subcompact luxury sales (including the B-Class) tallied up to 606 units, which dwarfed the 350 Audi A3s sold into the same market, let alone BMW that only managed to sell 139 2 Series and i3 models during the same two months, and as noted we haven’t even seen sales from the lower priced M-B A-Class sedan kick in, or for that matter this entirely new CLA four-door coupe that will hit the streets this fall, building on a success story that’s been pretty impressive so far. “With the first CLA we celebrated a huge success by selling some 750,000 vehicles and created a totally new segment with a four-door coupe in the compact class,” says Britta Seeger, Member of the Board of Management of Daimler AG, responsible for Mercedes-Benz Cars Marketing & Sales. Interestingly, more than two thirds of Canadian CLA buyers were new to Mercedes during that model’s peak sales stint, while it’s also critical to point out that these new M-B owners were seven years younger than the brand’s usual average age of clientele. Later this year Canadians will be given the choice of four recently updated or completely new subcompact models (five if you divide the A-Class into its current hatchback and upcoming sedan body types), with this CLA being the most expressive, and sportiest in the collection, and plenty of these newfound Mercedes owners will more than likely stay with the brand when it comes time to trade in and escalate up to fancier more profitable models within the lineup, as their income increases with age and experience. There’s a very big reason Mercedes chose the Las Vegas’ Consumer Electronics Show (CES) to debut its new CLA last January, the massive Mercedes-Benz User Experience (MBUX) infotainment interface that, together with its integrated digital instrument cluster, spans much of the car’s instrument panel, but its attractive new styling caused more of an initial crowd. Most should agree the new CLA looks more mature due to its seemingly stern forward-slanting sport grille design, which Mercedes claimed is “reminiscent of a shark’s nose” in its press release. Found in front of a lengthier hood highlighted by sculpted “powerdomes”, the new grille is bookended by a more angular set of LED Multibeam headlights incorporating 18 individually-controllable LED elements, all hovering above a more intricately detailed lower front apron. Additionally, the new CLA boasts muscled up side panels with flared fenders, while its entire roofline has been positioned farther toward the rear for a more traditional GT design. The more conventional look continues at the back thanks to a rectangular trunk cutout between totally new LED tail lamps that, like the lenses up front, are narrower and laid out higher and more horizontally for a wider overall appearance. Not only fresher and arguably better looking, the extensively wind tunnel-tested 2020 CLA is now much slicker through the air resulting in a 0.23 coefficient of drag. The updated CLA’s interior is obviously focused on a younger customer, the vivid orange highlights of the show car and sizeable conjoined digital displays right out of the iPad, Surface and Galaxy Tab playbooks. The fixed-freestanding widescreen combination includes a gauge cluster to the left, which removes the need for an instrument hood altogether, and an infotainment touchscreen to the right, the latter controlled by Mercedes’ trademark palm-rest and new touchpad (the scrolling wheel is gone) on the lower console. Do-it-yourself shifting comes via a set of paddles behind the 9 and 3 o’clock positions of the beautifully detailed leather-clad flat-bottom sport steering wheel, while above the previously noted infotainment controller is an elegantly thin climate control interface. Lastly, if that mammoth display didn’t first tug at your eyeballs, the stunning turbine-style circular HVAC ducts across the dash certainly should have. Back to the mother of all in-car electronic interfaces, which was actually introduced in the new A-Class a year ago and E-Class before that, the graphically stimulating multi-information display and surrounding digital dials sits next to Mercedes new high-resolution MBUX infotainment system as noted earlier. 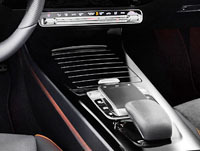 Along with fully customizable displays, Augmented Reality navigation that reportedly provides a much more realistic mapping system plus more, the new system’s computing power is greatly enhanced over the CLA’s outgoing system, and even features software that can “learn and respond to natural speech,” said Mercedes-Benz. If you’ve ever struggled to get a voice activation system to understand your prompts you may be glad to hear this next bit of news, because M-B’s new voice assistant is said to communicate more closely to Amazon Alexa, with the simple prompt of “Hey Mercedes” leading to more capability than any other in-car voice system offered thus far. What’s more, it’s intelligent enough to recognize the speech patterns of the individual asking the question, even when others are engaged in a different conversation. Additionally, Mercedes says their new MBUX voice assistant can even recognize and respond to more complex indirect questions, such as “Find Italian restaurants with at least four stars that are open for lunch but exclude pizza shops,” for example. It can also manage a greater assortment of subjects, with other press release-cited examples including “Hey Mercedes, How did the Toronto Raptors play?” when referencing sports news, or “How has the Apple share price performed compared to Microsoft?” for its take on business news. If you need a quick calculation, MBUX can do that for you too, with the example given being, “What is the square roof of 9?” while Mercedes provided the questions “How big is Texas?” and “What is the fat content of avocados?” for the general knowledge category. While some potential buyers may ante up for the new CLA just to for MBUX alone, plenty of others will appreciate the car’s larger overall size. It now measures 48 millimetres (1.9 inches) longer at 4,688 mm (184.5 in), while its wheelbase has been stretched by 30 mm (1.2 in) at 2,729 mm (107.4 in). Additionally, it spans 53 mm (2.1 in) wider at 1,830 mm (72.0 in) without the side mirrors, and finally its roofline is 2 mm (0.1 in) lower at 1,439 mm (56.6 in). As you can guess it’s more accommodating inside, but while those up front enjoy 17 mm (0.6 in) of additional headroom, and rear passengers get 3 mm (0.1 in) more space overhead, whereas shoulder room has been improved by 9 mm (0.3 in) up front and 22 mm (0.8 in) in the rear, plus front to rear elbow room grows by 35 and 44 mm (1.4 and 1.7 in) respectively, front legroom has actually shrunken by one millimetre, while legroom in the back seat lengthens by just a single millimetre as well. The cargo compartment is smaller too, but just by 10 litres (0.3 cubic feet) to a still-sizeable 460 litres (16.2 cu ft), while on the positive the new CLA’s squarer trunk lid width increases by a whopping 262 mm (10.3 in), plus the load floor was widened by 113 mm (4.4 in) wider and deepened by 24 mm (0.9 in). Lift the opening at the other end and you’ll once again find a 2.0-litre turbocharged four-cylinder engine underneath, and while Mercedes hasn’t shared performance figures for its most affordable CLA 250 variant yet, it will likely measure up to the new A 250 Hatchback, which makes 221 horsepower and 258 lb-ft of torque for a 13 horsepower gain and identical twist. Putting power down to the front wheels or 4MATIC all-wheel drive is Mercedes’ in-house 7G-DCT twin-clutch automated gearbox, with a beefed up version of the transmission and standard AWD expected to be included in the (finger’s crossed) AMG variant, the current performance model good for 375 horsepower and 350 lb-ft of torque. An increased dimension not yet mentioned is track width, which is up a healthy 63 mm (2.5 in) at the front wheels and 55 mm (2.1 in) in the rear, while the CLA also benefits from a lower centre of gravity, all of which should combine for a big improvement in overall performance. Additional chassis improvements include a Direct-Steer system and hydromounts up front, while the rear suspension includes a decoupled multi-link axle that reduces NVH, plus bigger stabilizer bars for reducing body roll. Lastly, 18-inch wheels shod in 225/45 tires should come standard, while 19-inch alloys wearing 225/40 rubber will be available. And what about advanced driver assistance and safety systems? Standard with the CLA will be Active Brake Assist, while Active Lane Keep Assist, which helps to centre drivers within their lane and prevents them from unexpectedly veering off the road, will be optional by choosing the Intelligent Drive Package that also incorporates Pre-Safe Plus with rear traffic warning and an automatic backup braking system. Also notable, the Intelligent Drive Package, which debuted in Mercedes’ flagship S-Class, can pilot the CLA autonomously in certain circumstances, but Mercedes is quick to point out that this semi-autonomous system still needs “cooperative driver support,” or at least it will until its many advanced functions are allowed to work on their own. Produced in Kecskemét, Hungary, the redesigned 2020 Mercedes-Benz CLA should help increase Mercedes’ command of the subcompact luxury car market when it joins the new A-Class sedan for autumn 2019 availability (find new A-Class Sedan and Hatchback pricing and more right here on CarCostCanada now), not to mention the A-Class Hatchback, GLA-Class subcompact crossover SUV and who knows what else (but according to Mercedes more are coming), and by so doing secure an entirely new generation of three-pointed star devotees. Ask anyone into cars which automaker makes the sportiest SUV, and Porsche will likely top the list more often than not. Whether we’re talking performance or styling, its Cayenne utility has long been considered one of the strongest performers in its mid-size luxury class, but that fact hasn’t stopped the German performance brand from producing an even sportier crossover model for 2020. Introducing the new Cayenne Coupé, a sharper more exciting version of the current Cayenne, designed to go head-to-head with the BMW X6s and Mercedes GLE Coupés of the world. Before the Cayenne arrived on the global luxury SUV scene in 2002, BMW’s X5 was touted as the sportiest premium utility. The Cayenne, particularly in Turbo form, trounced all over the X5’s turf, but BMW arguably returned to the topmost podium spot when the X6 Sports Activity Coupé arrived in 2007. With that sloped-back Bavarian SUV came a completely new niche market, solidified by the daringly different albeit mostly unloved (and therefore quickly cancelled) Acura ZDX in 2009, which was followed by the Mercedes-Benz GLE-Class Coupé in 2015, plus Lamborghini Urus in 2017 and Audi Q8 in 2018. The latter two models, together with the Audi Q7, Bentley Bentayga, and Volkswagen Touareg, ride on VW group’s MLBevo platform, which is why it was only a matter of time before this Cayenne Coupé joined the fray. This said it’s quite possible for the new Porsche to earn even greater success than its familial rivals and other key competitors that came before, thanks to Porsche’s revered name and the model’s expected performance. When compared to their regularly sized siblings, an obvious downfall of all SUV coupe competitors is practicality, the lower rooflines lending to less cargo capacity, and while this is as true of the Cayenne Coupé as it is with the X6 and more spacious X5, plenty of luxury car buyers not wanting a traditional family hauler are looking to this niche segment as a more pragmatic alternative to their current sport sedan or sports coupe. What’s more, the very existence of the new Cayenne Coupé allows Porsche to upsize future generations of the regular Cayenne, potentially even providing a three-row version to go up against the seven-passenger X5. Changes from the redesigned 2019 Cayenne (which will remain unchanged for 2020) and the new Cayenne Coupé include a 20-millimetre lower roofline, including a new windscreen held up by shallower A pillars, plus narrower more pointed rear side windows, revised second-row doors skins, brand new rear quarter panels, and a reworked rear bumper, that last component now including an integrated license plate cutout. The new bodywork has resulted in 19 millimetres of increased width, which when combined with the Coupé’s lower ride height makes for a more aggressive stance overall. Yet more Cayenne Coupé upgrades include a special adaptive rear deck lid spoiler, separated rear seats for a four-occupant total, plus two roof choices starting with a standard 2.16-cubic-metre fixed panoramic moonroof with sunshade, or an available carbon panel for an even sportier look. That adaptive rear spoiler will be a first for the SUV coupe market segment, following in the footsteps of its bigger Cayenne brother in its more traditional mid-size luxury SUV category. The regular Cayenne uses an adaptive rooftop spoiler for its top-tier Turbo trim, whereas the active aerodynamic device will be standard on the new Cayenne Coupé, expanding by 135 mm (5.3 inches) when it reaches speeds of 90 km/h and beyond. Additionally, a rooftop spoiler pushes airflow down the sloping rear glass combines towards the active spoiler on the rear deck lid, further aiding the Coupé’s aerodynamics. This system, called Porsche Active Aerodynamics (PAA), increases downforce on the rear axle to provide better handling dynamics, while also improving high-speed efficiency to minimize wind noise and reduce fuel consumption. By the way, the carbon roof mentioned earlier will require an upgrade to one of three lightweight sport packages, which also feature a number of Sport Design features, as well as unique 22-inch GT Design wheels, hounds-tooth Pepita checked fabric seat inserts that’ll send your memory back to classic 911s and 928s, plus carbon and microsuede-like Alcantara interior trim. What’s more, the new Cayenne Coupé Turbo includes a sport exhaust system as standard equipment. The enhanced exhaust system connects through to the same twin-turbo 4.0-litre V8 as found in the regular Cayenne Turbo, capable of 541 horsepower and 567 pound-feet of torque, resulting in standstill to 100km/h in just 3.9 seconds. This means the new Cayenne Coupé Turbo’s standing start will only be improved upon by the previously noted 650-horsepower Lamborghini Urus, which hits 100km/h in only 3.6 seconds, which leaves the 567-horsepower X6 M and 577-horsepower AMG-Mercedes GLE 63 S Coupé requiring 4.2 seconds each to accomplish the same 100km/h run. Notably the smaller compact AMG-Mercedes GLC 63 S Coupé charges from naught to 100km/h in a scant 3.8 seconds thanks to its 503-horsepower V8, while the 503-horsepower BMW X4 M needs 4.1 seconds to achieve the same speed. Those that dare live on the edge can tout bragging rights to a 286-km/h top speed for the Cayenne Coupé Turbo, incidentally. If ultimate speed isn’t your thing, and let’s face it, only those with a track nearby and enough time and money to rent it out for hot laps can take advantage without putting their license and new Cayenne Coupé Turbo in jeopardy, Porsche makes a less potent Cayenne Coupé available with an identical 335 horsepower turbocharged 3.0-litre V6 to the regular base Cayenne. This is where the new Audi Q8 fits into the scheme of things too, in case you were wondering, not to mention most of the above SUV coupes in their less formidable trims. The turbocharged 3.0-litre V6 engine makes a healthy 335 horsepower and 332 lb-ft of torque, which is good enough for a 6.0-second sprint from zero to 100km/h in standard guise or 5.9 seconds when upgraded with one of its lightweight sports packages. The Sport Chrono Package, incidentally, is standard equipment with the Cayenne Coupé, which brings up an interesting point. When the regular base Cayenne is upfitted with its Sport Chrono Package, Porsche estimates its sprint time to 100km/h as 5.9 seconds, which strangely makes it 0.1 seconds faster to 100km/h than the new Cayenne Coupé. Additionally, the base Cayenne’s terminal velocity is 2 km/h faster at 245 km/h, the entry-level Cayenne Coupé’s only capable of 243 km/h. Are we making a mountain out a mole hill? Of course we are, but splitting such hairs is par for the course when it comes to this high-end, super-performance SUV arena, so we have every right to. Back to standard equipment, the new Cayenne Coupé also gets speed-sensitive Power Steering Plus, Porsche Active Suspension Management (PASM), plus a set of 20-inch alloy rims, all of which will cause you to spend more when purchasing a regular Cayenne. Now that we’re talking money, the new 2020 Cayenne Coupé will be available from just $86,400 when it goes on sale later this year, while the significantly quicker Cayenne Coupé Turbo will start at $148,000, plus freight and fees of course. In its transformation from regular SUV to coupe, the new model also gets eight-way powered sport seats with beefier side bolsters, while passengers in back sit on cushions lowered by 30 mm (1.18 inches), allowing additional headroom to compensate for the lower rear roofline. The Cayenne Coupé’s tapering roof negatively affects its load hauling ability too, but to be fair it’s only down by 145 litres (5.1 cubic feet) when compared to the normally sized Cayenne. To that end the base Coupé can manage up to 625 litres (22.0 cu ft) of gear behind its rear seats, whereas the bigger model is good for 770 litres (27.2 cu ft). When dropping the 40/20/40 split-folding rear row, luggage capacity increases to 1,540 litres (54.4 cu ft) compared to 1,710 litres (60.4 cu ft) in the regular Cayenne, which is a difference of only 170.0 litres (6.0 cu ft). Therefore, while not as practical as the regular Cayenne, the new Coupé should be just fine for those moving up from a sport coupe or sedan. On that note, those considering moving over to the Cayenne Coupé from a second-generation Panamera will appreciate an extra 125 litres (4.4 cu ft) of cargo room when comparing base trims, while owners of the Panamera Sport Turismo will benefit by 105 litres (3.7 cu ft) of extra cargo volume. Also important to note, the Cayenne Turbo Coupé’s cargo hold is 25 litres (0.9 litres) smaller than the base Cayenne Coupé at just 600 litres (21.2 cu ft) when the rear seats are in use, or by 30 litres (1.0 cu-ft) to 1,510 litres (53.3 cu ft) when they’re laid flat. The all-new 2020 Cayenne Coupé will arrive across Canada this fall, but is available to preorder from your local Porsche retailer now. Who isn’t excited to see the new 2020 Porsche 911 Carrera on the road, let alone experience one first hand? While the latest sports car of sports cars might look to some like a mild makeover of a classic design, it’s a radical departure to those who live and breathe Porsche. Most applaud its fresh new styling, although some have criticized its backside when its attractively tapered deck lid transforms into a rather unorthodox rear wing, but no matter how much you like or dislike the car’s design, the method behind Porsche’s madness is hard to argue against. Less noticeable than the protruding rear wing are a set of active shutters that hide within the front corner grilles, which open above 70 km/h to minimize aerodynamic drag, while at 90 km/h the just noted rear spoiler gets raised into its most fuel efficient Eco position to once again reduce air resistance, although the aero system’s purpose changes from eco stewardship to maximum speed and grip at 170 km/h, when the front shutters open and the rear spoiler moves farther upward into its Performance position. 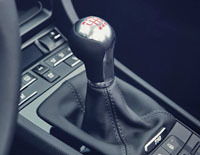 What’s more, as part of this Performance position the PASM (Porsche Active Suspension Management) sport chassis automatically drops down by 10 millimetres in order to improve its aero efficiency further, this sole feature adding four seconds per lap to the 911’s Nürburgring performance. The 911’s adaptive aero also adjusts for new Wet mode, plus the active rear spoiler will literally spring into action when emergency braking is needed by automatically canting farther upward into its “Air Brake” mode, adding downward pressure over the rear wheels for greater braking grip. How does it work? Like the previous 911, the new model’s sculpted body panels provide precise paths for oncoming air to flow overtop, underneath and around the entire car so as to minimize drag and maximize downforce, a balancing act that’s always challenging to perfect, but the new 911’s adaptive aerodynamics take it a step further by letting that air vent into the front corner intakes, pass through each radiator, and then flow around the front wheels like an air curtain in order to reduce turbulence. This airflow continues along the 911’s doors before moving up and over the rear fenders into the engine vents mounted below the rear window, which feeds the 3.0-litre, twin-turbocharged horizontally opposed six-cylinder engine’s new air-to-air intercoolers, after which it gets directed down and out rear vents at each side of the back bumper. For a more visual insight, make sure to watch the video provided by Porsche below, and don’t forget to check out the photo gallery above, where we’ve included some close up shots of the rear wing as well as some illustrations of frontal and rear airflow.